What Is Keto OS MAX by Prüvit? Where to Buy, Benefits, Results & More. You are here: Home › What is KETO OS? WHAT IS Prüvit KETO OS? 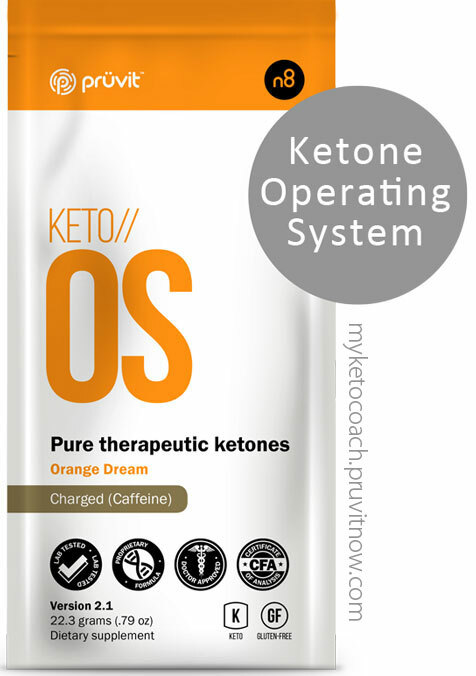 KETO//OS is your “ketone operating system” it is the First Therapeutic exogenous Ketone Supplement on the market. How & Why Does Keto OS MAX Work? See how ketones can get you the benefits of Fat Loss, Energy, Appetite Suppression, Muscle Preservation and more. 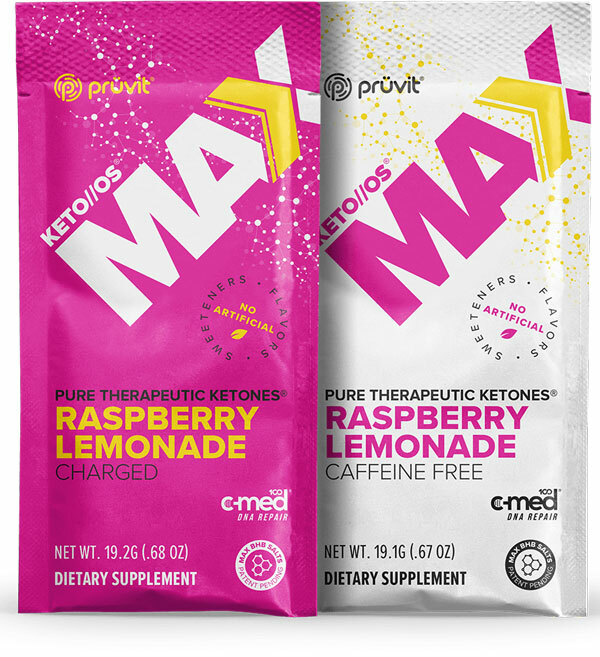 The proprietary blend is owned by Prüvit and is Lab Tested, University backed and the technology in KETO//OS (and Keto OS MAX) is patent pending, developed by one of the most world renown Dr.’s and experts on Ketosis. Prüvit was the first company approved by University of South Florida to acquire the sub-license rights to use this patent pending technology. It is a ketone powder that you mix with 12-16 oz. of water. Within minutes it puts your body into Ketosis. Prüvit owns the worldwide rights to KETO//OS. KETO//OS has a certificate of analysis for purity, consistence and efficacy. MY PERSONAL PROOF & RESULTS! Here is a video showing how KETO OS impacted my blood ketone levels showing a before and after results from using Keto OS. WHAT ARE THE BENEFITS OF KETO//OS & KETONES? Fat-Loss: KETO//OS targets and burns body fat with every serving by positioning your body to follow a proven, accepted, and universal fat-loss formula. Appetite Suppression: Ketones naturally suppress your appetite allowing you to make better choices and eat less frequently. Protect and preserve muscle: Ketones are extremely anti-catabolic (they are protein/muscle sparing) and will preserve and protect your lean tissue during periods of caloric restriction. The more muscle you preserve, the more fat you burn. Fast & Sustained Energy: Ketones offer insulin free energy that maximizes your mindset and mental focus while motivating you to move more, do more, and be more. Improved Clarity & Focus: KETO//OS provides a cleaner, quicker energy pathway than glucose while providing very important signaling molecules to the body. Joint Mobility: Ketones, specifically beta-hydroxybutyrate found in Prüvit’s Proprietary Technology, help maintain healthy joint mobility. WHY WOULD I TAKE KETO OS? WHAT KIND OF DIET SHOULD I FOLLOW WHEN I’M TAKING KETO OS? The wonderful thing about taking exogenous ketones via KETO OS is that you can experience the benefits of ketones without diet modification. Even those who don’t change a thing, will still experience the benefits. However, it is encouraged that you slowly begin to follow a lower carbohydrate diet, and enhance your body’s ability to utilize the ketones (BHB). WHY IS THERE SODIUM IN KETO//OS? KETO//OS was formulated with a higher salt concentration in order to counter balance the sodium that is lost through ketone supplementation. It also acts as a slight buffer, since ketones can be a bit acidic. When taking exogenous ketones, it is often encouraged that you increase your water intake as well. Keto OS 2.1 does have a small amount of dairy around 3 grams that we use to plate the MCT powder in keto os 2.1. But our Keto OS 3.0 and Keto MAX are Dairy Free. Yes, Keto OS 3.0 and Keto MAX are Gluten Free. HAVE QUESTIONS? WANT TO BUY? Email Me I will reply ASAP! Need a Referral code to purchase Keto OS?